SOME RULES ARE MADE TO BE BROKEN. Others are broken at our peril. And still others are made to create peril, delicious, lovely peril for the victim in a good old fashioned murder mystery. With that goal in mind, for your consideration I hereby present my Top Ten Murder Mystery Rules. 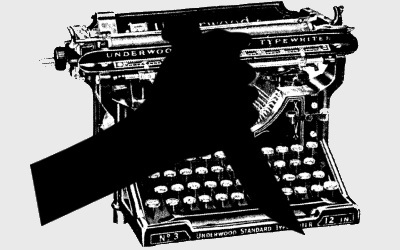 Mystery authors should feel free to stretch them to the breaking point, but do bear in mind that most of the great murder mystery novels abide by them all, and for good reason. They work. 1. There must be at least one murder, or else good reason to believe a murder has been, or will be, committed. 2. The murderer’s identity must be unknown to the reader. If the murderer’s identity is unknown to the protagonist but known to the reader, the book is a suspense or thriller novel, not a murder mystery. 3. The murderer may not be identified through a character’s psychic powers, or through magic, or through time travel, or a futuristic machine. In such cases, the book is some form of speculative fiction, not a murder mystery. 4. The murderer and the motive for the murder must be clearly identified in the novel, preferably at the end. 5. While the murderer may be insane, the reason for the murder must be understandable. 6. The protagonist may have companions who assist with the investigation, however the ultimate solution must be discovered or deduced by the protagonist. 7. The protagonist must be in immediate danger as a result of the investigation, or else responsible for saving or defending another character who is in immediate danger. 8. The act of murder must be consistent with the murderer’s personality and abilities. 9. The murderer must be a human being. If the murderer is an alien, a ghost, or a monster, it is science fiction or a horror novel, not a murder mystery. 10. All clues used by the protagonist to solve the murder must be revealed to the reader and the protagonist simultaneously. Do you know another murder mystery rule? Can you think of a classic murder mystery novel that breaks these rules? I like these rules, but I’m not sure about #6, since Agatha Christie’s Poirot novels often were not only told from the point of view of a character other than Poirot, who solved the murder mystery, but also sometimes featured real protagonists besides him. Great point, Laura. Often in the writing world, these kinds of rules are broken by the best authors. It’s one of the things that makes their books fun to read. There are often murder mysteries in which you find in the end that the person really committed suicide, or didn’t really die, or something else. So a murder wasn’t really committed. In those cases, what makes it a murder mystery is that someone is charged with murder, and the protagonist exonerates them. Athol, how would you classify the old movie “D.O.A.,” in which the protagonist has been poisoned, and spends the remaining hours of his life trying to solve his own murder? That’s a good point, Dave. It’s why I left room for the possibility there wasn’t actually a murder when I said “,,,or at least good reason to believe a murder has been…committed.” As you say, many of the great murder mystery novels don’t actually contain a murder. But I think the reader must believe there was one, at least at some point as they read, or else it’s not a murder mystery, strictly speaking. Is it strange or logical that one of my good friends, a murder defense attorney in Charlottesville VA writes murder mystery short stories? It makes sense, but at the same time seems sort of…I don’t know, tasteless? Or tactless, maybe. I found your rules interesting,but have a question. In my book,The Corporate Whore of Babylon, the murderer is discovered, but he is brought out by a code word, so is the person considered the suspect or not, considering that he is not really himself but sort of a split personality. Would this still be considered a true murder mystery? Several of the rules seem arbitrary. “Columbo” has a murder, a detective pursuing clues. With a couple rare exceptions, we know who the murderer is. We just don’t know exactly how Columbo will figure it out and exactly how the cat-and-mouse game between murderer and lieutenant will play out. How does having an alien as the murderer disqualify an otherwise valid murder mystery? The assumption seems to be that combining two genres kills both. I also wonder if ALL of the clues must be revealed to the protagonist and reader simultaneously. Can MANY of them be revealed simultaneously but a couple of pieces of evidence that “seal the deal” be discovered by the protagonist mid-book then revealed to the reader at the end? For example, mid-book we read that analysis of a hair strand shows the killer uses a certain type of conditioner but at the end, we are merely told that conditioner was found in a suspect’s dopp kit — the reader is not actually there for the discovery of that. I definitely think most of the interesting clues must be revealed simultaneously. Not sure all of them must be. I might add another rule, although it is a stretch. That is, there cannot be a situation where a group of people commit a murder but all the clues revealed in the book connect to just one person in the group. I think a reader would still feel cheated if that happened especially if the person in the group is rejected by the reader as the perpetrator because they did not appear to have all the resources by themselves to commit it.